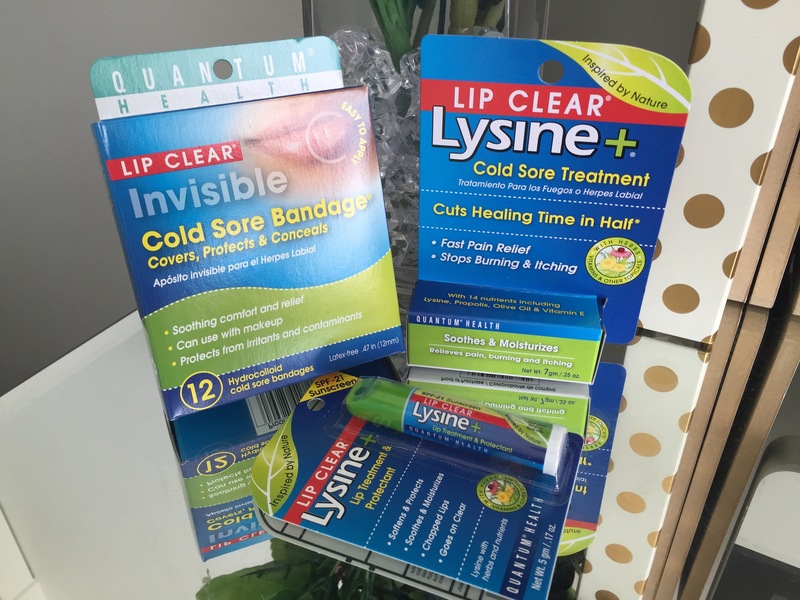 3 Tips for Staying Clear of the Cold Sores this Fall + a GIVEAWAY! Ugh, the dreaded cold sore! As summer is quickly turning into fall, the fun time of year for cold sores to take their vengeance is quickly coming upon us. Cold sores are caused by many different factors including stress, kissing an infected person, and sharing chapstick and/or eating utensils with someone who is infected. With cold sore season upon us, it is important to do a few simple things each day to prevent cold sores. ENTER TO WIN Lip Clear’s Treatment, Bandages and Protectant in the Rafflecopter form at the bottom of this post! 2. Keep stress low – Stress is a well-known cause of cold sore outbreaks, so be sure to do a few things in your life to reduce stress. Activities could include meditating, reading a book, going on a walk, etc. Interested in trying Lip Clear out for yourself? Enter to win it below, or use the code HEALTHYLIPS: at quamtumhealth.com for 10% off a Lip Clear purchase. 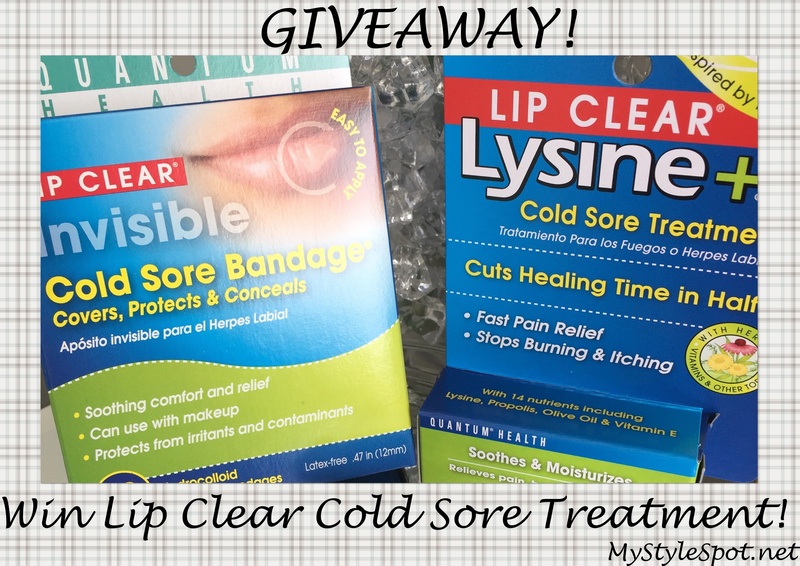 ENTER TO WIN a Lip Clear Care Package which includes the Lip Clear Cold Sore Ointment, Lip Clear Invisible Cold Sore Bandages, and Lip Clear Lip Treatment and Protectant in the Rafflecopter for below! Sorry, this contest is Open to US only. *This is a sponsored giveaway by Lip Clear. However, all thoughts and opinions expressed in this post are solely my own. I only share reviews with my readers, I feel will be beneficial or informative in some way. I would say make sure your face is dry before going out to the cold, Also , don’t go putting your lips on soda cans or bottles to drink from, pour your drink from a clean glass.. I try to dry them out or at least keep them as dry as possible. I try not to stress about it and let it dry quickly. a good tube burt bees. I also use Burt Bees. Would love to try a new brand. I have problems with my mouth breaking out but not exactly cold sores but I am open for any suggestions. Avoid stress & always wear sunscreen on your lips when spending a great deal of time outside. These are both cold sore triggers.